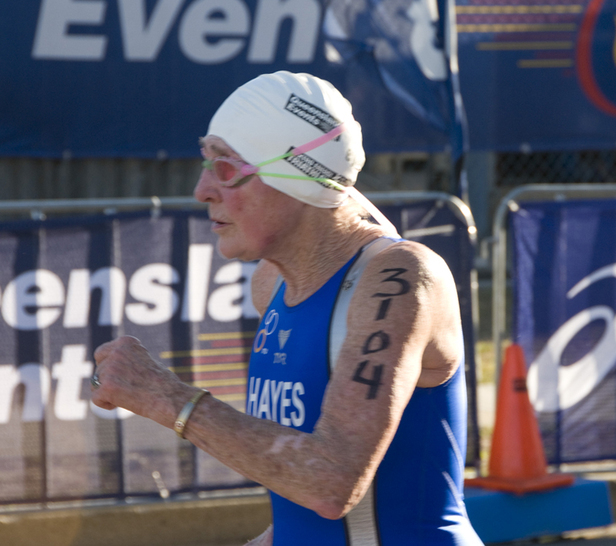 Triton Molly Hayes donning the Red, White and Blue of Team USA at the 2009 ITU Age Group Triathlon World Championships in Gold Coast, Australia. Molly is participating in three World Championship events – aquathlon (pictured above), Olympic distance triathlon, and sprint triathlon. Follow the triathlon races this weekend on www.worldtriathlongoldcoast.com and www.triathlon.org. You can also watch the live television broadcast free of charge from each Dextro Energy Triathlon – ITU World Championship race on http://www.triathlon.org/tv.